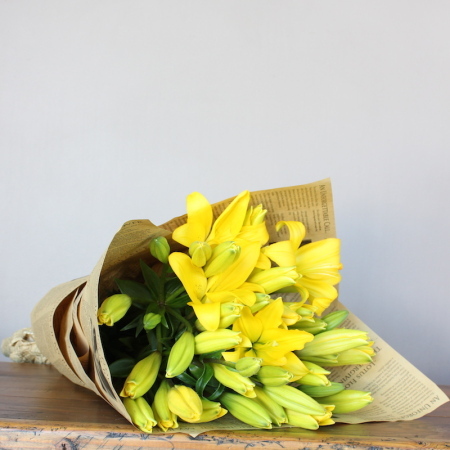 A brilliant long lasting gift, these bright yellow Tiger Lilies make the perfect display for any home or office. Wrapped in our signature brown kraft wrap tied with lovely twine, a simple yet long lasting bouquet. To make this gift even more special, browse our gift section for the perfect accompaniment. Order online before 2:00 pm to receive same day delivery in the sydney area.